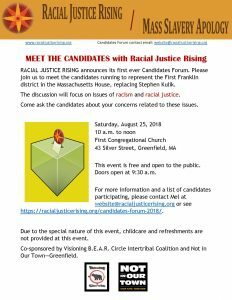 Join us as the candidates for the First Franklin District seat, currently held by Steve Kulik, answer questions about their views on racism and racial justice. We have prepared questions and there will also be time for questions from the audience. 10:15 a.m. – 12:15 p.m., First Congregational Church, 43 Silver Street, Greenfield MA. Doors open at 9:45. In celebration of activism, five gifted performers share brilliant songs of truth and power! 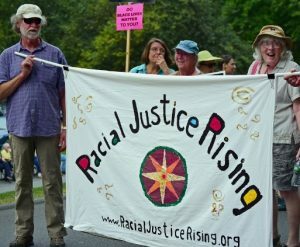 Gloria is a lifelong performer, an educator, and an active member of Racial Justice Rising. Michael is a contemporary classical composer, and educator. 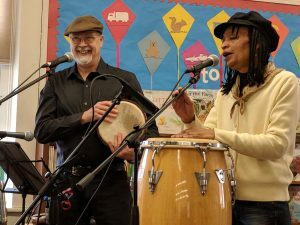 Together, they have been exploring the traditions of African American music. 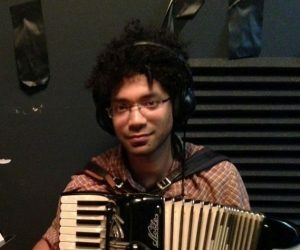 Adam is a multi-instrumentalist and composer who performs with a number of different projects, in New Haven, New York and beyond. 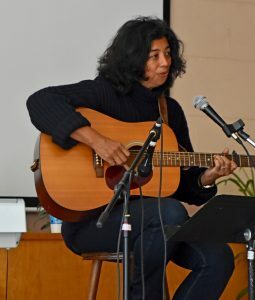 Licia is a songwriter, performer, and workshop and retreat leader. Learn more about her and her work on her website. 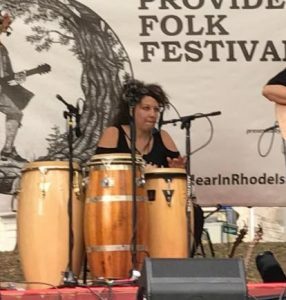 I-SHEA is a conga artist, an eclectic performance and teaching artist, and an advocate for social systemic change. Like parades? Enjoy a nice walk? 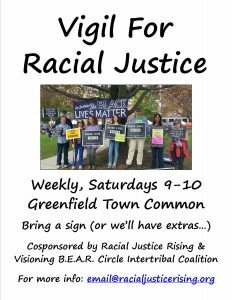 The Franklin County Fair Parade is on Thursday, September 6, and Racial Justice Rising, along with Not In Our Town Greenfield, will be marching with our signs and banners. Let us know if you’d like to walk with us! Do you have video experience? RJR is looking for someone – or more than one person so they can rotate the position – to videotape our monthly Saturday programs and post to our Youtube.